Esoteric Recordings begin a series of releases drawn from TODD RUNDGREN's extensive archive of recordings with the first stand- alone CD release of the "DISCO JETS" project, recorded in 1976 by TODD and his group UTOPIA, featuring JOHN SIEGLER (Bass, Vocals), ROGER POWELL (Keyboards, Vocals) and WILLIE WILCOX (Drums). The DISCO JETS sessions took place at Bearsville studios shortly after the release of TODD's "Faithful" album and was a purely instrumental affair recorded "tongue in cheek" with sights firmly set upon the current trends of the time such as the US Bi-Centennial celebrations, Disco music, Science Fiction movies such as STAR WARS and the CB Radio fad. Featuring some memorable soloing from RUNDGREN and POWELL, the impressive 'SPACE WAR' and the memorable cover of the 'STAR TREK' theme, the "DISCO JETS" project would languish in the vaults for several decades before appearing as part of a Japanese only compilation, now long deleted. 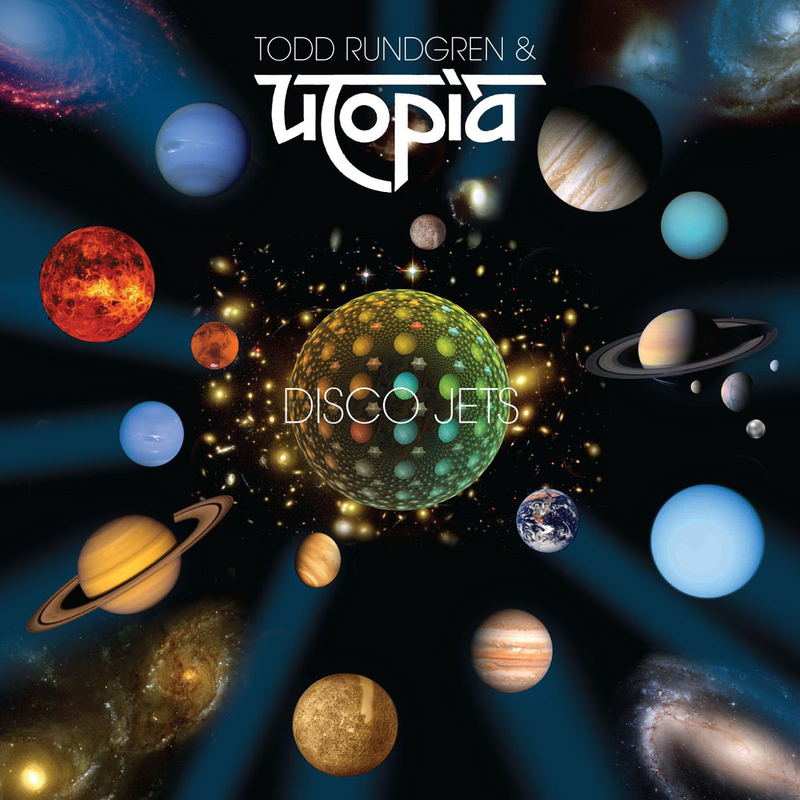 The ESOTERIC RECORDINGS release of "DISCO JETS" has been newly re-mastered from the master tapes and is sure to appeal to all TODD RUNDGREN and UTOPIA aficionados.